I am not exactly sure of the date of these photographs but I think they are c1928 and 1929. My mother, who was Edna Parker then, is front left on both the photographs. She lived in Sandgate Road. My mother won a scholarship to Varndean School, but unfortunately her father died in about 1934 and my grandmother was wheelchair bound with arthiritis so my mother, Edna, had to finish her education at Balfour Road School before entering employment at 13 or 14. If anyone can identify any of the other children in these photographs, please do leave a comment below. Click on the photographs to open a large version in a new window. Click on the image again to further enlarge. 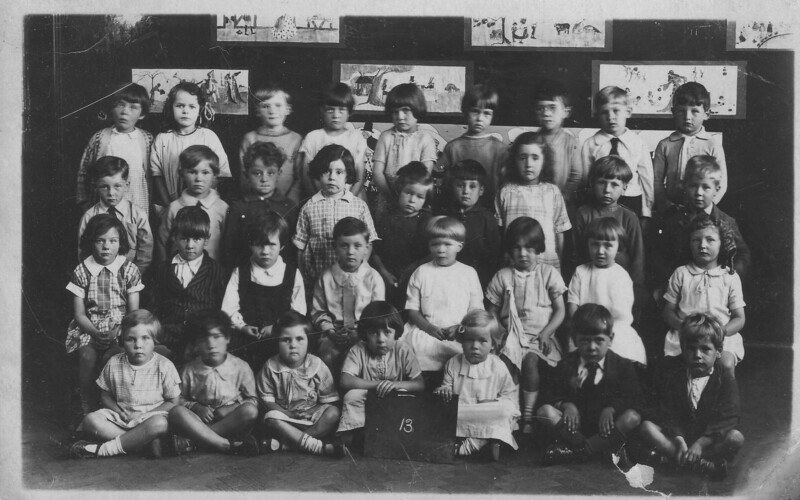 I was at Ditchling Road school during the war and left in 1943. I think that all those in the two photographs are now well into their 90’s or have departed from this Earth. However it will be interesting to see if anyone comes forward. I attended Ditchling Road School until June 1929 when our family moved to Canada. We lived at 82 Chester Terrace. My best friend was Pearl Curry and I remember Stanley Budgin and Raymond Bushnell. 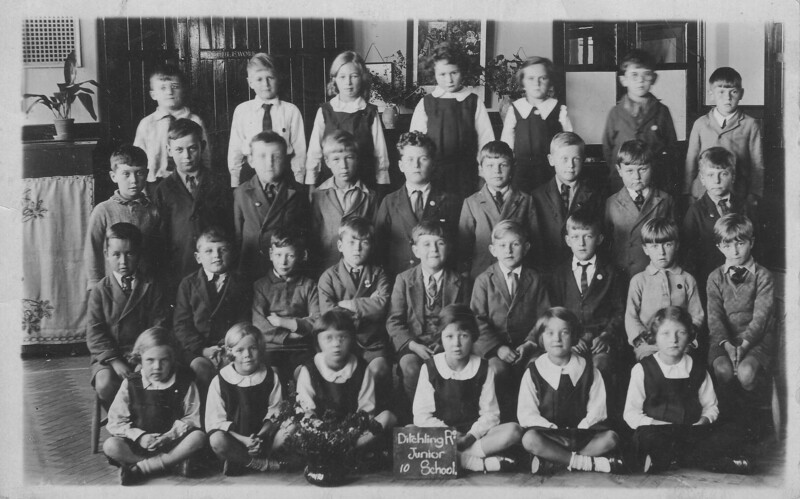 I have a class photograph which I will submit to this page. My mother, Sybil Eunice Christine Alldridge born 27/11/1919, and my uncle, Ronald Brian Alldridge born 01/01/1922, both attended Ditchling Road Junior School and at that time lived at 12 Hollingbury Road, Brighton.